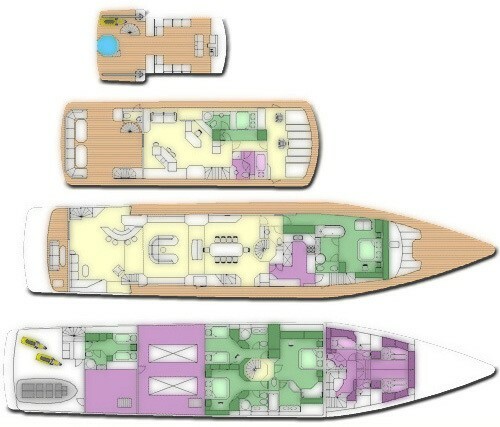 Number of guests: 10Tenders + toys: NEW 2012 21′Castoldi jet propulsion tender with quiet BMW diesel engine. 260 HP. 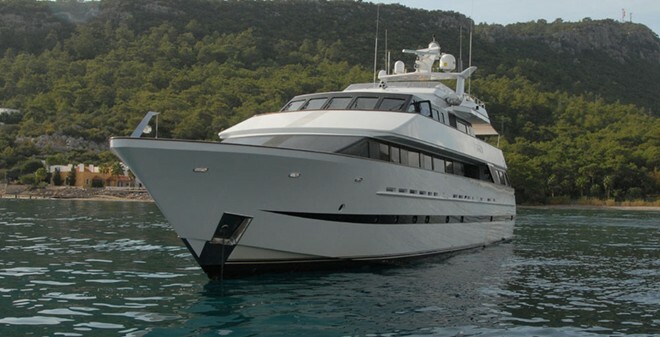 2x Hanauma 2-man inflatable CanoesThis luxurious tri-level 41m Heesen was launched in 2005 and has an unbeatable proven charter record. 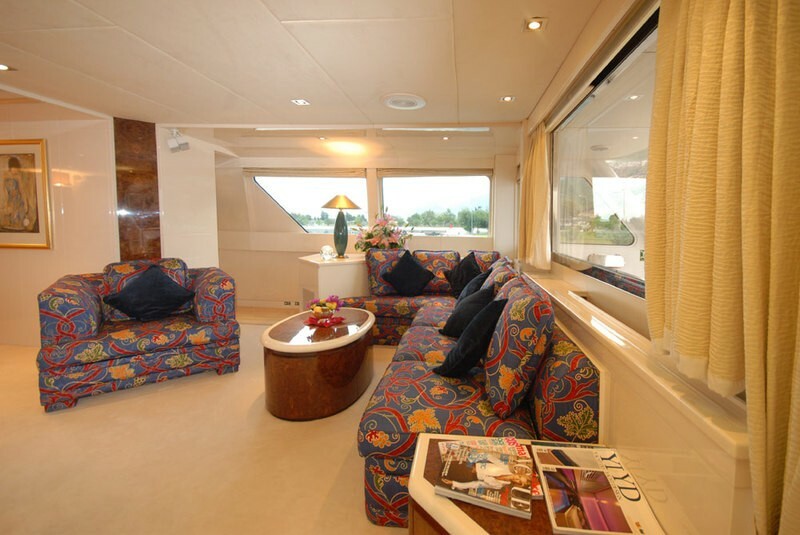 The interior design features beautiful semi-gloss cherry wood panelling and a teak and ebony parquetry floor, whilst Makassar furniture adds an exotic touch.From stepping on board via the aft deck the spacious main saloon, fitted with comfortable sofas and tables, also offers a bar area and seating incorporating a 50″ Plasma TV screen. 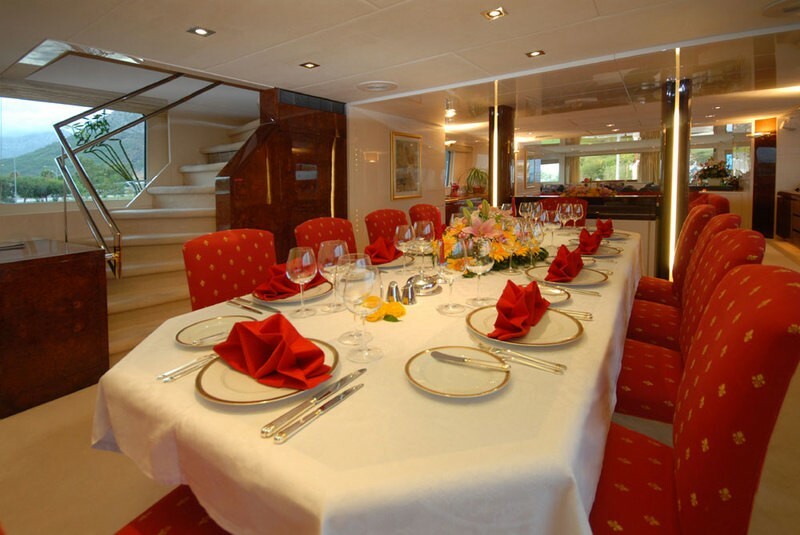 The open dining room can seat 10 guests comfortably around an oval table and large side windows afford an exceptional exterior sea view throughout. 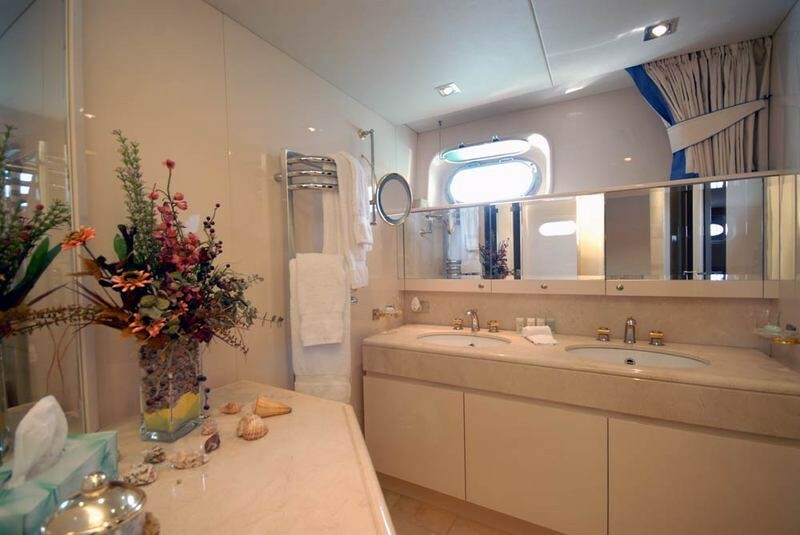 The circular foredeck owner’s stateroom includes a study with internet connections and printer, a walk-in dressing room, bathroom with Jacuzzi bath, and separate large marble shower and toilet. The atmosphere of the master suite is fresh and subtly feminine, harmonising beige, maple and cranberry tones. 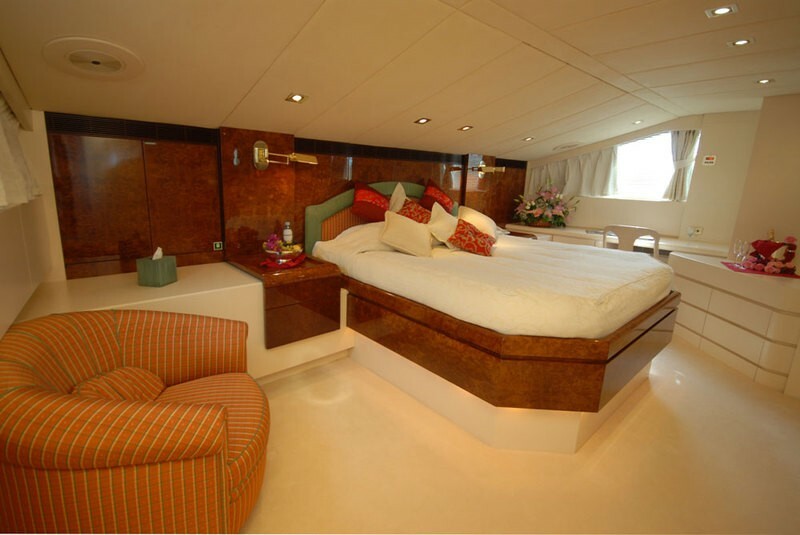 Below decks the two full-beam VIP staterooms are almost identical in proportion, and the two comfortable twin staterooms have an oriental feel. 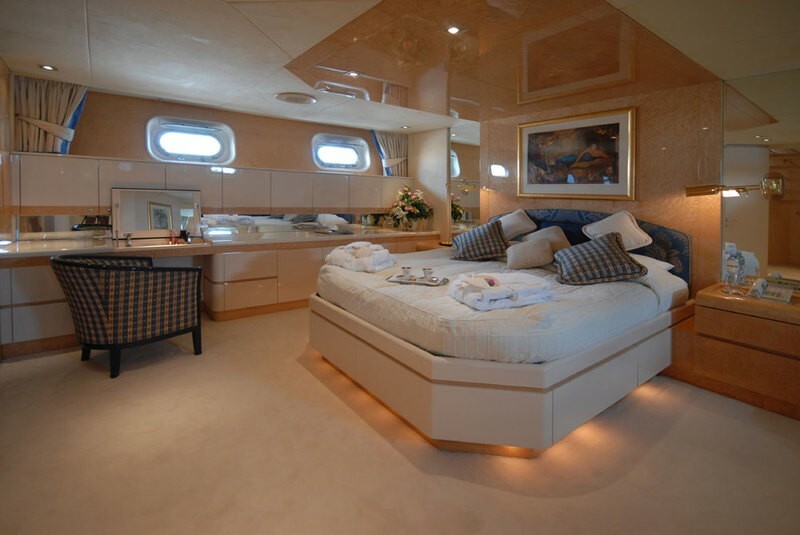 All have en-suite shower/bath facilities in marble. 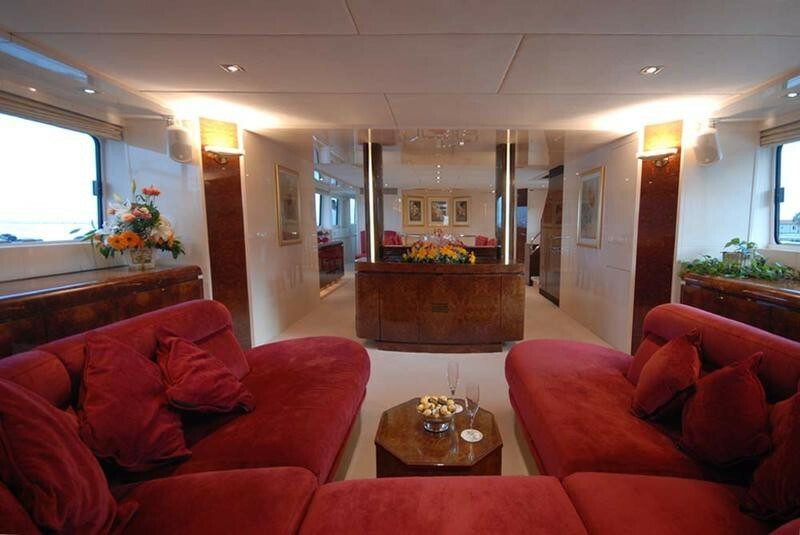 The exotic woods and oriental furniture utilized in the spacious upper-deck saloon makes for a relaxing space to stretch out and read or play cards, and an extremely comfortable cinema saloon with a 60″ plasma TV. 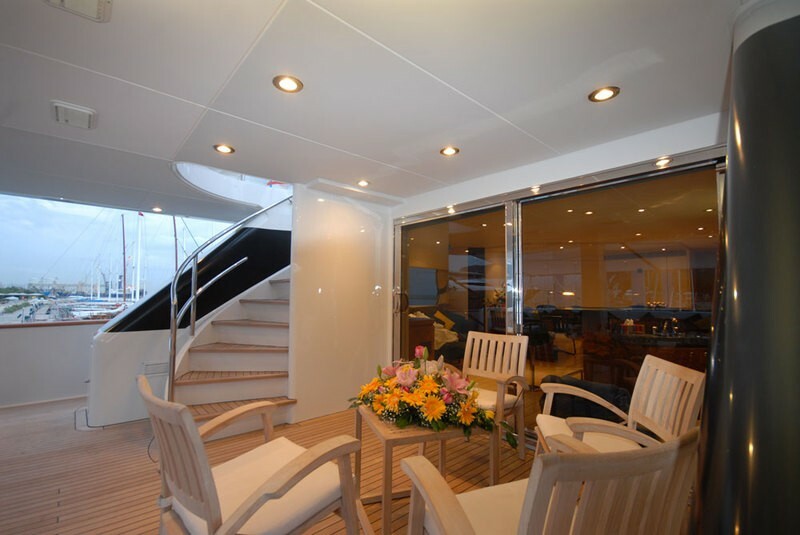 Lunch or dinner can be taken either on the upper deck (table for 12) or on the Jacuzzi sun deck (table for 10), which is also equipped with several sun pads. All tenders are stored in the garage which houses a sauna. 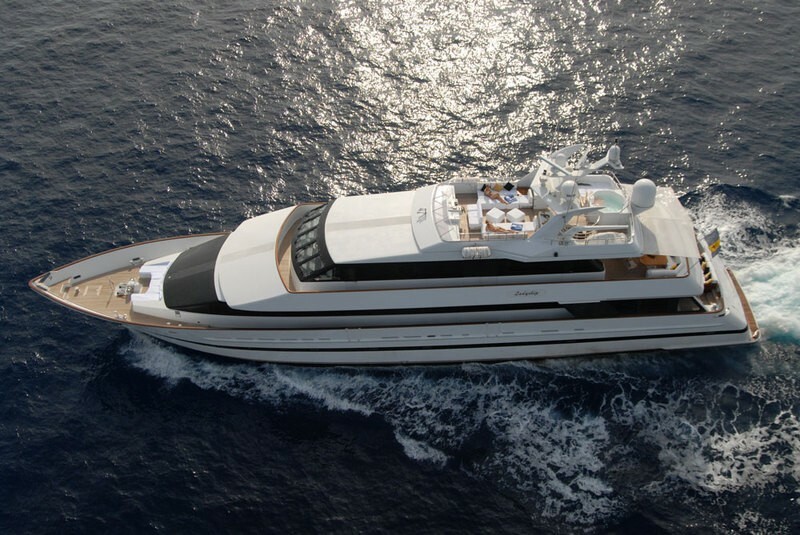 SEVEN SINS and her professional crew of 7, headed by Captain Richard Biscoe, are eager to welcome you onboard for an unforgettable cruise.